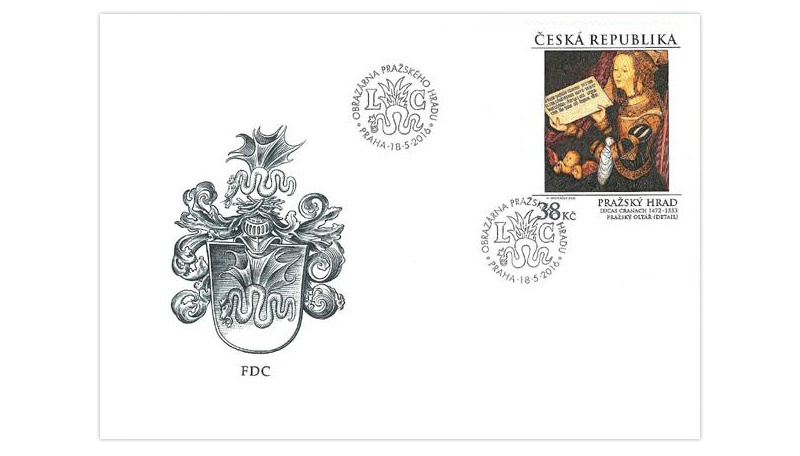 Stamp depicts a detail from a fragment of the Prague altarpiece - the right panel portraying St. Barbara. Lucas Cranach the Elder (c. 1472, Kronach - 16 October 1553, Weimar) was a great German Renaissance painter, printmaker, businessman and friend of Martin Luther. He lived a productive, fulfilling life in an era of unrest and rebellions, reformation and counter-reformation efforts. The art of this period suffered equally dramatic changes: the new visual perception of the world left behind certain ideals of the German Renaissance and manifested itself in Mannerism. 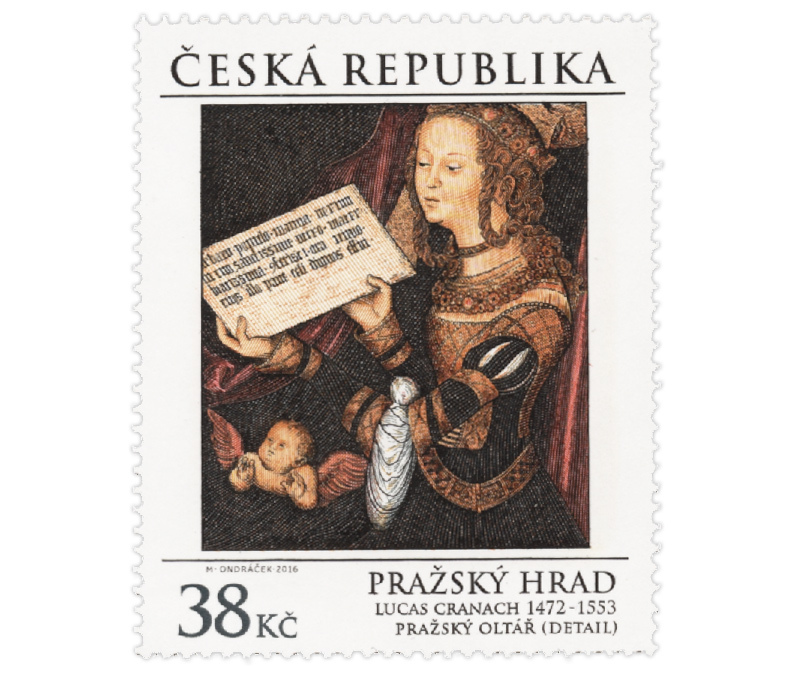 Lucas Cranach the Elder was born as Lucas Sunder in Kronach in upper Franconia (today’s Bavaria) to a large family. According to the prevailing tradition, he later adopted the name of his birthplace as his surname. The exact date of his birth is unknown. He trained as an engraver in the workshop of his father Hans Maler (Maler means painter, the surname defined his profession instead of his birthplace), who created major works for the neighbouring villages and towns. Lucas’ mother, born Hübner, died in 1491. Little is known about the life of young Cranach. Around 1495, he travelled to Nuremberg where he saw works by the German artist and engraver Albrecht Dürer, which had a lifelong effect on him. From 1501-5, he stayed in Vienna where he met humanist scholars from the University of Vienna, led by Conrad Celtis. The works created by Cranach during his stay in Vienna, such as the Marriage Diptych of Dr Johannes Cuspinian and Anna Cuspinian (1502), The Penitence of St. Jerome (1502, Kunsthistorisches Museum, Vienna), and the Crucifixion of Christ (1503, Alte Pinakothek, Munich), made him one of the founding members of the so-called Danube School. In 1505, he started to work for the Saxon Prince-Elector Friedrich III of Wittenberg as his court painter and later also as a diplomat. The prince wisely recognised his talent and decided to support him. In Wittenberg, Cranach also set up a prospering workshop employing a growing number of apprentices and assistants. He became a successful businessman running a printing shop, a bookshop and an apothecary shop. 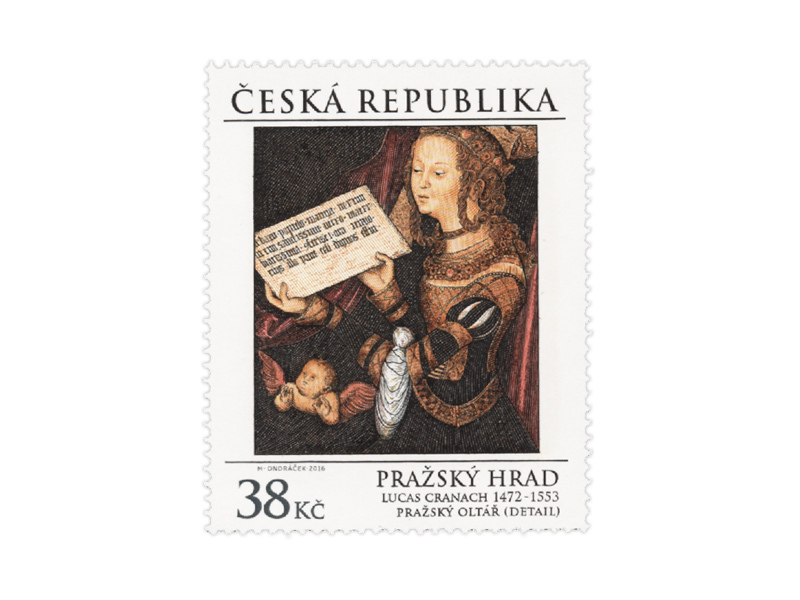 In 1509, he travelled to the Netherlands to portray the Emperor Maximilian and the young boy who afterwards became Emperor Charles V. From this time, he also started using his symbol, a winged snake, as his signature. 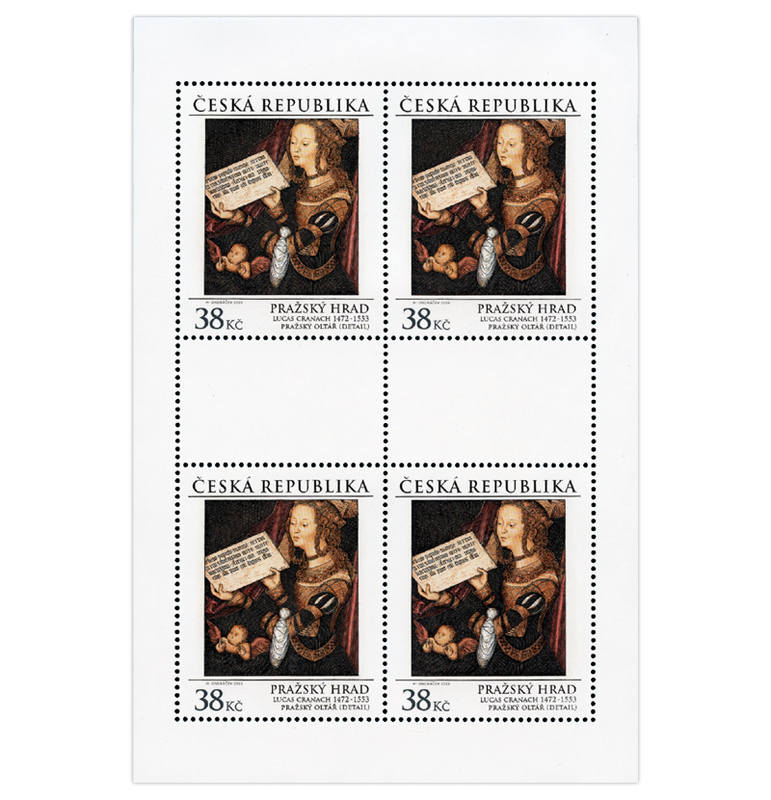 Cranach spent the last years of his life in Weimar where he also died on 16 October 1553.